Bring Up The Bodies will definitely be in my Top 10 novels of the year. I'm sure you hardly need me to describe the plot, it's been reviewed everywhere. It's the sequel to the Man Booker Prize winning Wolf Hall, & continues the story of Thomas Cromwell, Master Secretary & Henry VIII's fixer & right hand man. 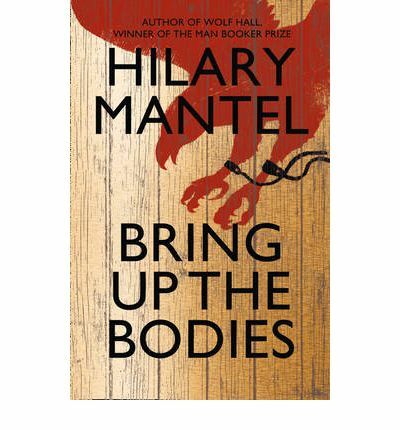 Bring Up The Bodies takes up where Wolf Hall left off. Henry VIII is staying at Wolf Hall, the home of the Seymour family. Henry is tired of his Queen, Anne Boleyn, who has failed to give him a son & for whose sake, he broke with the Catholic Church, repudiated his wife, the Spanish princess Katherine of Aragon, & cast off his daughter, Mary. Henry is falling in love with small, mousy, plain, shy Jane Seymour, the complete opposite of Anne. He's already looking for a way to get rid of Anne so that he can marry Jane who will surely give him a son & heir. He looks to Thomas Cromwell to arrange it. Cromwell grew up in Putney, roamed all over Europe as a soldier & then as a clerk & he learned everything he knows about serving Henry from his former master, Cardinal Wolsey. However, Wolsey failed to secure Henry's divorce from Katherine & was rejected by Henry. Wolsey died of disappointment & grief on his way to the Tower & Cromwell stepped into his place. Cromwell's love for Wolsey is one of his defining traits. He has learnt from Wolsey's mistakes & steps carefully through the treacherous Tudor Court to bring about the result the King desires. The action of takes place over just six months. Anne's failure to give Henry a son has led to their estrangement. She has grown bitter & shrill & Henry is almost afraid of her & her scorching temper. Henry is injured at a tournament, for a while his courtiers think he's dead, & Cromwell suddenly realises how vulbnerable his own position is. Everything depends on Henry. Without the King, Cromwell would be at the mercy of his many enemies, not least among them the Boleyn & Howard families. Anne miscarries her last child, Katherine of Aragon dies in her retirement at Kimbolton & suddenly the way is clear for Henry to choose a new wife. A new marriage that won't be tainted by the scandals of the divorce & the antagonism of much of Europe towards Anne. 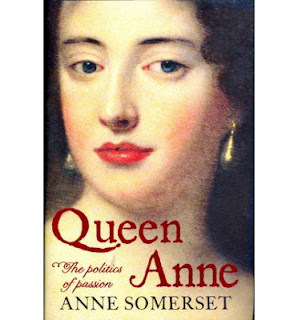 Cromwell listens to gossip, rumour & innuendo & targets five men who have been close to Anne. He accuses them of adultery with the Queen which is high treason. The final weeks of Anne's life are about to begin. Hilary Mantel has written such a compelling book, it reads almost like a thriller. I've read dozens of books about Anne Boleyn & the Tudors but, even though I knew the ending, I was on the edge of my seat. The book is written in present tense which I usually don't like but in this case it reinforced the immediacy the reader feels. We're inside Cromwell's thoughts much of the time. We become complicit with the things he does, the compromises with the truth that he makes. At one point he says that he has found five guilty men but they may not be guilty of what they are accused of. Cromwell has a grudge against George Boleyn, Norris, Weston & Brereton because they took part in a play that mocked Wolsey after his fall but it's too simplistic to say that he takes revenge on them for this. Some part of him is pleased to have the chance to humble these men who have always looked down on the boy from Putney with not a drop of noble blood in his veins. He knows that Anne is his enemy but he isn't vengeful towards her. He is carrying out his master's wishes. He knows his place & carries out his duty as he sees it. The Boleyns have the sense to draw Anne backwards, backwards and away, Mistress Shelton and Jane Rochford flapping and tut-tutting, the whole Howard, Boleyn clan closing around her. Jane Seymour, alone of the ladies, does not move. She stands and looks at Henry and the king's eyes fly straight to her, a space opens around her and for a moment she stands in the vacancy, like a dancer left behind when the line moves on. The language is modern with turns of phrase to suggest an earlier time. I recognized many phrases & pieces of dialogue from Anne's last weeks as she waits in the Tower for her trial woven into the text. It's very subtly done. The novel ends with Anne's execution & I can hardly wait for the third volume which will cover the last five years of Cromwell's life. I can't think that it will be better than Bring Up The Bodies but then I didn't think she could top Wolf Hall. I'm quite prepared to be wrong again. I don't have any excuse for featuring Andrew Marvell's poetry again. This is one of my favourite poems & I've been dipping into Marvell since reading Linda Gillard's The Glass Guardian a couple of weeks ago. To His Coy Mistress is in a tradition of poetry that tries to persuade young women to go to bed with their suitors. It's witty & amusing & I know most of it by heart. I wonder if it was based on a real situation and, if so, was the lady persuaded? Alex recommended a biography of Marvell by Nigel Smith when he commented on my last Marvell poetry post. I need to read it even more urgently now! I've been very restrained in my book buying lately. I do still have a few preorders from the Book Depository trickling in. 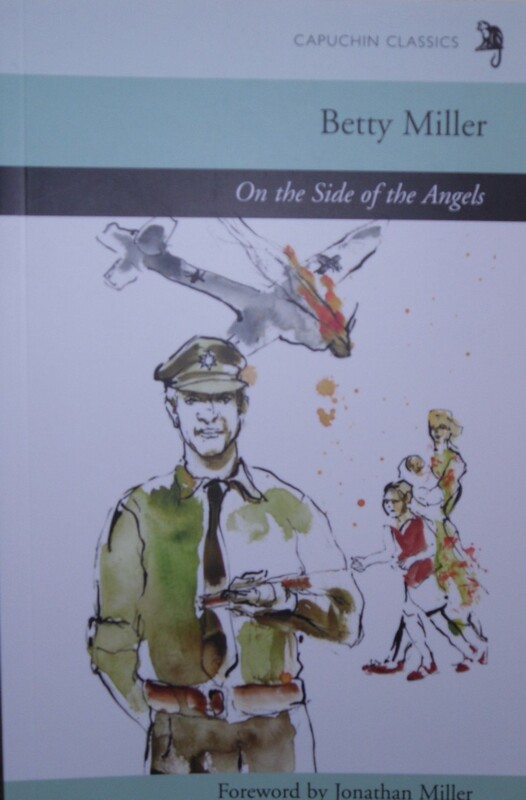 Betty Miller's On the Side of the Angels arrived this week. I've been looking forward to this as I enjoyed her novel, Farewell Leicester Square, which is a Persephone. This is the story of the psychological facts of war on two families. I have bought a few e-books though. They're invisible so they don't really count. I bought Rosy Thornton's More than Love Letters, her first novel & the only one I haven't read. 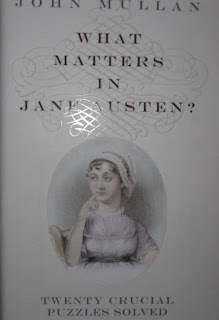 Also a new book about Jane Austen, Jane Austen's Cults & Cultures by Claudia Johnson, which was reviewed here along with John Mullan's book, What Matters in Jane Austen? I've just finished the Mullan book & will be reviewing it soon. I was dismayed but not altogether surprised to discover that the Book Depository are no longer selling e-books. I couldn't find the e-books link on the website a few weeks ago & emailed them. I received a polite corporate speak reply saying that they didn't feel they were offering a good enough e-book service to their customers & preferred to concentrate on the physical books. Now I've received emails telling me that all the e-books I've bought from TBD & have in my order history (because you can have 3 downloads per title) will be disappearing on July 1st. This is just one of many changes that will probably happen at TBD now that they've been bought by Amazon. Amazon obviously don't want anyone buying e-books for any device except the Kindle. I don't have a Kindle (although I do have the Kindle app on my iPad. I prefer my e-reader though because it's so much lighter to hold) & TBD's prices were very reasonable. I bought all my Bloomsbury Reader e-books there for around $6AU each. I can't believe any bookseller is willingly ignoring e-books, it seems ridiculous to me. 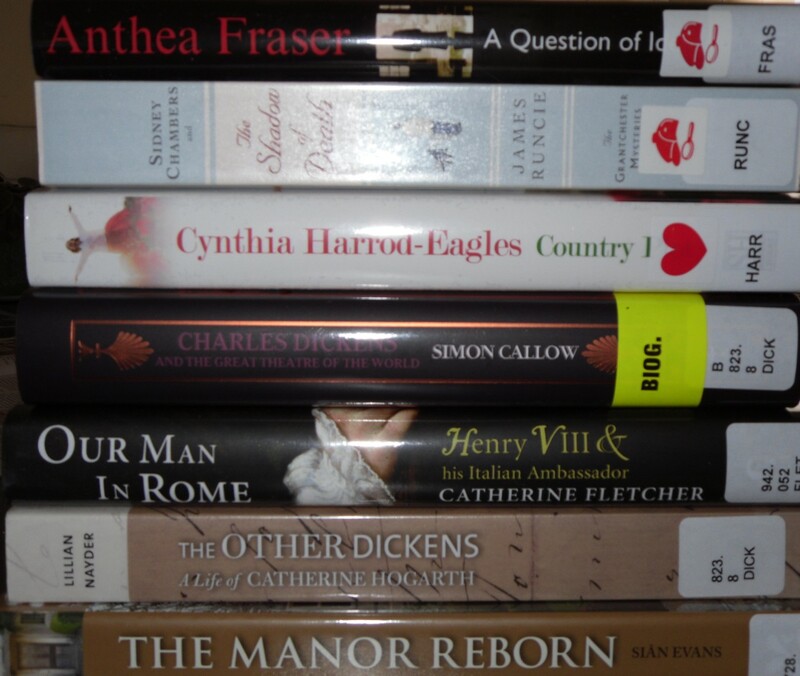 I've also brought home a lovely stack of new books from work, all of which I'm desperate to read immediately. 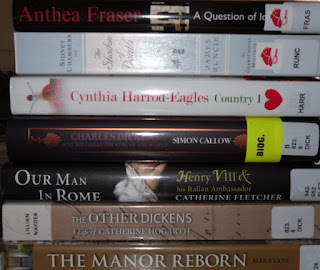 There's A Question of Identity, the new Rona Parish mystery from Anthea Fraser; Sidney Chambers & the Shadow of Death by James Runcie which has had some excellent reviews; a stand-alone romance from Cynthia Harrod-Eagles, Country Plot; Charles Dickens & the Great Theatre of the World by Simon Callow, one of the Dickens books I'm most looking forward to this year; Our Man in Rome by Catherine Fletcher which is about Henry VIII's ambassador to Rome during the period of his divorce negotiations; The Other Dickens by Lillian Nayder, a biography of Catherine & The Manor Reborn, the book of the TV series (which I haven't seen) about the restoration of Avebury Manor. The book is sumptuous & I would love the series to pop up on TV here one day - or even on BBC iPlayer Global (hint, hint!). However, I'm not reading any of those at the moment. 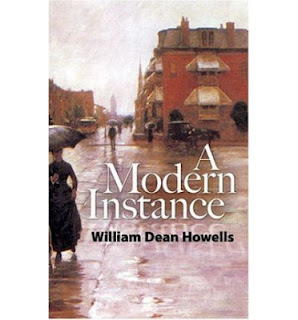 I've just finished A Modern Instance by William Dean Howells, which I was reading with my 19th century bookgroup. It's the story of a young couple in 1880s Boston & their marriage. Bartley Hubbard is an unscrupulous journalist & his wife Marcia is a very jealous woman. The ending of the novel was quite scandalous for the time. I couldn't sympathise with either Bartley or Marcia but I loved the book, it was a fascinating read. Last night, I began Bring up the Bodies by Hilary Mantel, the sequel to Wolf Hall. Thomas Cromwell, Jane Seymour & the fall of Anne Boleyn. There's a long reservation queue for it so I must read it this week. I'm 30pp in & I love it. Can't wait to get back to it. 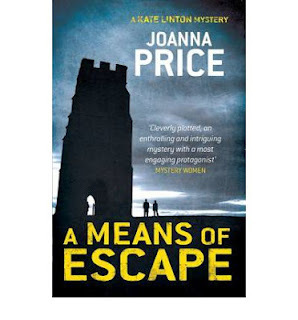 A Means of Escape by Joanna Price. I'm halfway through this mystery set in Glastonbury after reading about it on Eurocrime. 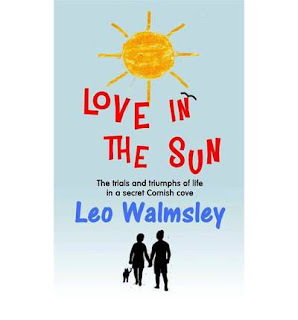 I'm also about a tenth of the way through Love in the Sun by Leo Walmsley. I tried to order a physical copy from TBD but it was never available so I downloaded it to my iPad. It's set in Cornwall & was warmly reviewed by Fleur Fisher. It's now back in print but not that easy to get hold of. Finally, some exciting news from Persephone. Emma Bridgewater has been commissioned to produce a jug & bowl to celebrate Persephone's 100th book to be published later this year. This was on Facebook this morning & I can't wait to see the design. The colours won't be a surprise though. I just hope they're available worldwide. I have all the books & I must have the commemorative crockery as well! Grace Kilmichael has run away from home. At the beginning of Illyrian Spring, she is sitting in a carriage on the Orient Express, hiding her tears behind a newspaper. Grace is running away from being Lady Kilmichael, wife to Walter, a famous economist. She's running away from her unsatisfactory relationship with her teenage daughter, Linnet. 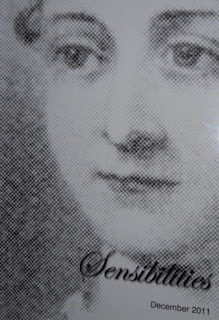 As Grace Stanway, she's a well-known painter & her work sells for considerable sums. However, she feels that Walter resents her work & that her children, Linnet & twin boys at Cambridge, belittle her painting as just a hobby. She's also upset by Walter's affair with a co-worker. Running away to the Dalmatian coast to paint, leaving a perfunctory note for her husband & without telling anyone her destination, is a revolutionary act for Grace. En route to Dalmatia, in Torcello, she meets Nicholas Humphries, a young man in his twenties. Nicholas wants to be an artist but his family wants him to be an architect. He's sulky, touchy & awkward. His bad digestion makes him fussy & he has all the over-confidence as well as the diffidence of youth. Grace offers to advise him about his work & their friendship grows as they travel together, painting & discussing everything under the sun. They were getting to know not only the details of each other's lives, but getting to know one another - a different thing. The process of getting to know anyone is not merely a matter of listening, watching and understanding. M Maurois has pointed out how, in any new relationship, we feel an unconscious need to create, as it were, a new picture, a new edition of ourselves to present to the fresh person who claims our interest; for them, we in a strange sense wish to. and do, start life anew. Grace Kilmichael was not analytical enough to recognise either this wish or this process in herself, but she was unconsciously doing it. all she realised was that she was finding this new friendship strangely interesting. Grace learns about young people through Nicholas, the way they think, & realises that her relationship with her daughter, once so easy, has faltered because of her own lack of confidence. Nicholas is a fine artist & Grace believes he could make a living from it but his father is determined that he will not follow his dream. Meanwhile his sister, Celia, with only mediocre talent is allowed to study at the Slade. Lack of confidence is Grace's problem in all her relationships & the journey she & Nicholas take is not only a physical journey but an emotional journey for both of them. The easy, affectionate mother-son relationship that they have at the beginning of the journey deepens into a romantic love that is never fully expressed & that Grace knows is impossible. The ending of the book is truly satisfactory in that both Grace & Nicholas are ready to move on to the next phase of life with the strength & confidence that their Illyrian idyll has given them. But imperceptibly the tone of her thoughts had altered since she knelt in the Martins-Kapelle in Spalato. Walter and the children - this time they were not 'after all' hers; they were just hers , her treasure and her joy - she found the current of her affection setting towards them full and clear, without checks and barriers of resentments or doubts. How strange! How had this come about? Was this the beginning of freedom, she wondered, or just a momentary impulse? 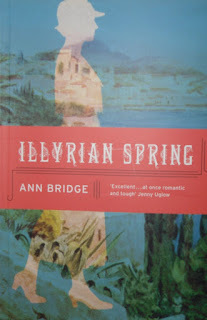 Illyrian Spring is a book that has had rave reviews all around the blogosphere. It's almost become a cult book as the Virago edition has become scarce & expensive. Luckily, Daunt Books have reprinted it so we can all discover what Book Snob & Stuck in a Book have been going on about! I've read quite a few of Ann Bridge's novels over the last couple of years. Peking Picnic, her first novel & five of the wonderful Julia Probyn series, recently reprinted & made available as e-books by Bloomsbury. Now that my e-reader is behaving again, I'm eager to get back to Julia, I still have three books in the series to go as well as some other stand alone novels. One thing that all of Ann Bridge's work has in common is a wonderful sense of place. 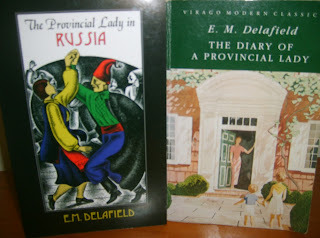 She was a diplomat's wife & her books are set all over the world, from China to Portugal. The Dalmatian coast of Illyrian Spring is almost a fantasy land because the area which now comprises the countries of the former Yugoslavia has been changed so much by war & strife. 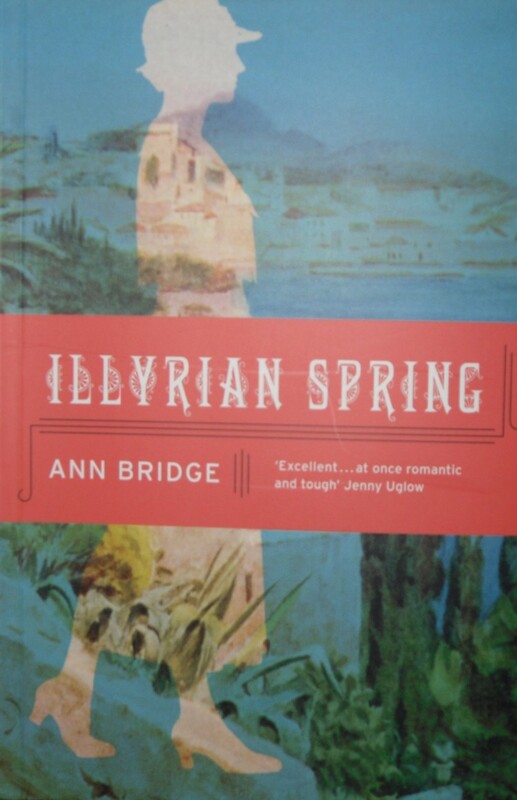 Illyrian Spring was published in 1935 so the Balkan Wars are far in the past & WWII is in the future. Bridge writes about nature with such lyricism. Her writing was so enticing that she started a fashion for holidays in the region. The Prince of Wales famously took Mrs Simpson on a boating holiday there. Grace's artistic sensibilities are also expressed in her admiration of the various churches & historical buildings she visits. 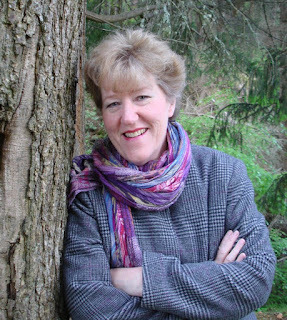 I loved the sense of really being there that Ann Bridge conveys with her sense of atmosphere & detailed descriptions. However, the relationship between Grace & Nicholas is the emotional centre of the novel. I loved Grace. Her quiet struggle for independence was so beautifully portrayed & the scenes between Grace & her family at the end of the book were a triumph. There's a quiet feminism in Grace's struggle to be her own person & also to realise that her independence is best for her family as well. Nicholas was less easy to like but I think that's just because I'm much nearer Grace's age than his. I could admire her determination to keep the relationship on a light, easy basis, especially as she realised that he was falling in love with her & even more as she realised the truth of her own feelings. The delicacy of these scenes is perfectly done. I'm so glad I've finally had the chance to read Illyrian Spring. I agree with all the praise from bloggers & reviewers. It's a lovely book about friendship, love & freedom set in an idyllic part of the world. Highly recommended. This lovely poem by Edmund Waller (picture from here) is one of my favourites. A man wooing his shy young sweetheart by sending her a rose that he hopes will tell her all that he wishes he could say himself. The lover is becoming a little bit impatient though. The threat in the last stanza is subtle but it's there all the same. If she rejects him again, I think he'll be moving on. 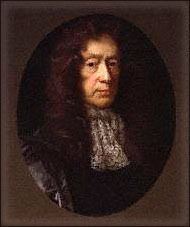 The sentiments are very similar to those of Andrew Marvell's To His Coy Mistress. Don't waste your youth & beauty being shy & retiring. Life's short, let's enjoy it while we can. 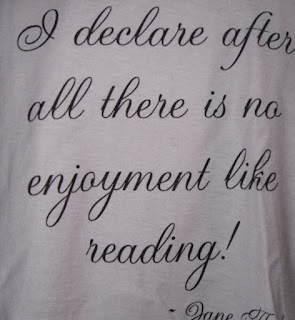 I never tire of reading Jane Austen or of reading about Jane Austen. 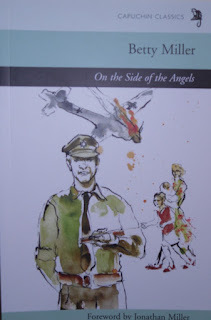 I've just bought a new book by John Mullan that I've been waiting for with great anticipation. What Matters in Jane Austen? 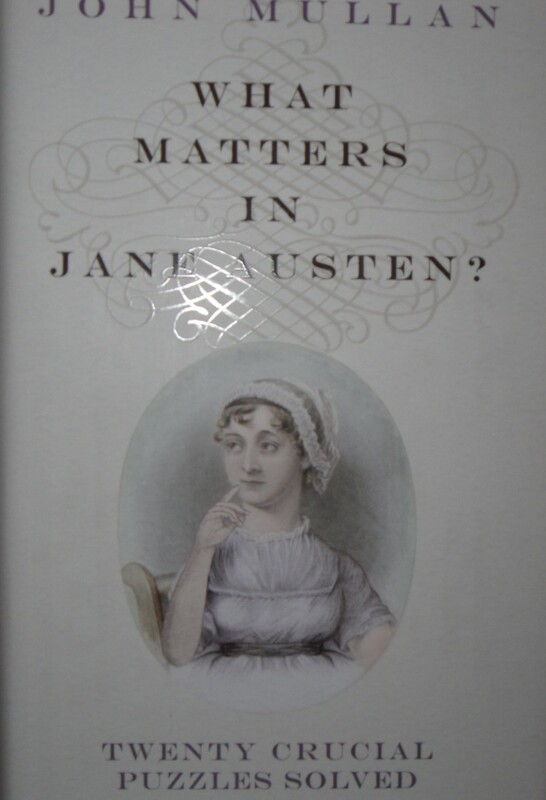 explores 20 critical puzzles about Jane Austen's life & work. I've dipped in already & I know I'm going to love it. The author looks at such questions as why it's risky to go to the seaside, what the characters call each other, what do the characters say about the heroine when she's not present & which important characters never speak. The first chapter is about why age matters in the novels. It opens with the observation that Mrs Bennet is probably only about 40 & Mr Collins 25. The casting of the various movie & television adaptations sometimes colours our impressions of the age of the various characters. I've always thought it interesting that Colonel Brandon at 35 never thinks of Mrs Dashwood as a potential partner & she can't be more than 40. Was her widowhood off-putting? Were men just expected to look for younger brides who could have children? I'm looking forward to John Mullan's opinion on these vital questions. I've read many biographies of Jane Austen & this is just the kind of book I enjoy. Looking at the life & work from a different angle. I'm a member of the Jane Austen Society of Australia &, although I can't attend meetings (they're based in Sydney), I enjoy reading their publications which usually contain the texts of the talks & presentations from the study days & conferences they organize. Sensibilities is published twice a year & the December issue contains all the papers from the 2011 conference on Sense & Sensibility. 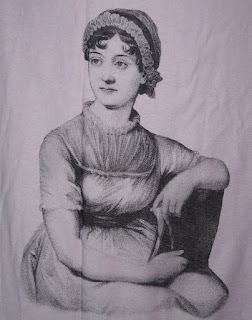 There are articles on marriage in Sense & Sensibility (by Hazel Jones, whose book Jane Austen & Marriage, is on the tbr shelves), Emma Thompson's film version of the novel, an assessment of the 1981 mini series version & an exploration of the notorious Dashwood family, one of whom was the founder of the Hell-fire Club for rakes & renegades & what Jane could have known about this scandalous episode. 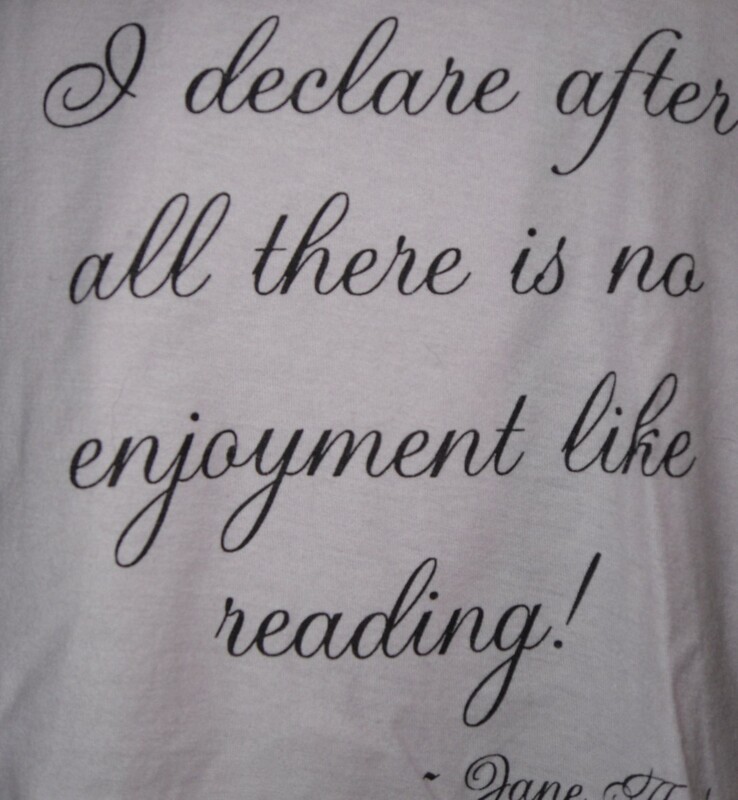 I've also succumbed to a Jane Austen-related impulse buy. Reader's Niche is a Melbourne-based online business that sells all kinds of objects with literary associations. When I saw this lovely scarf, I couldn't resist. It's a gorgeous dusty pink colour & as you can see, has a prettified picture of Jane & a quotation from Pride & Prejudice. The website isn't terribly easy to find your way around (the scarves are under Home Decor) but there are lots of posters, tea towels, coffee mugs & even T shirts & charm bracelets. Now if I can only work out how to tie the scarf so that the picture & quotation are both visible... I'm not clever with scarves but I just had to have it. Could any true Janeite resist? It's the Queen's Birthday holiday today & the sun finally broke through this afternoon after a grey, gloomy & wet weekend. I caught up with a friend this morning (when it was still foggy & cold). We went to a movie, Bel-Ami, based on the book by Guy de Maupassant. It was pretty much as we expected from reading the reviews. The women in the cast - Uma Thurman, Kristin Scott Thomas & Christina Ricci - were terrific, Philip Glenister is always worth watching but Robert Patttinson as Georges just wasn't good enough. He was quite wooden & charmless. Georges is a shallow young man but he must have some charm for all these women to fall under his spell. When I got home, I baked a cake for a special morning tea at work tomorrow. It's a surprise 60th birthday tea & I made a chocolate, date & almond torte. It's a new recipe for me based on egg whites so I'll be interested to taste it. There was a lot of chopping involved so I turned on the radio. Classic FM played some of my favourite pieces. Bach's Brandenburg Concerto no 5, Mozart's Piano Sonata in A (the one with the Rondo alla Turca) & Tchaikovsky's gorgeous Serenade for Strings. 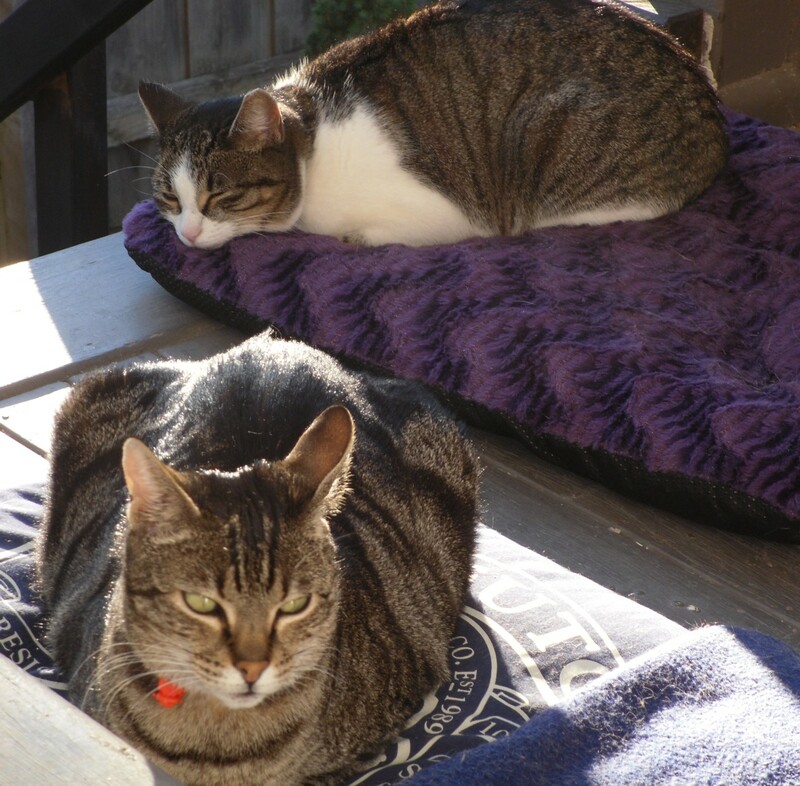 I moved Lucky & Phoebe's beds into a sunny spot on the back porch & they settled down to listen to the beautiful music & have a snooze. Sunny winter afternoons don't come around all that often & this one's nearly over already. If you've had the day off, I hope you've had as lovely a day as I have. This week I've chosen a poem by Andrew Marvell (picture from here), one of my favourite poets. The Definition of Love is quoted in Linda Gillard's absorbing new novel, The Glass Guardian, which I reviewed yesterday. I knew the first & last verses but it was a lovely opportunity to read the rest of the poem again. It's a difficult poem to understand but the melancholy of an impossible love is so beautifully described that I don't feel I have to understand all the metaphysical conceits. As usual with Linda's novels, I read The Glass Guardian in almost one sitting, I couldn't wait to find out what happened next. I was completely caught up in Ruth's journey. If you enjoy a love story with atmosphere, intelligent, multi-faceted characters & a touch of the supernatural, I think you'll enjoy The Glass Guardian. You can buy Linda's books for the Kindle (or Kindle app) from Amazon in the UK & US. The Suspicions of Mr Whicher by Kate Summerscale was a massively successful book that told the story of the murder of Savile Kent, the child of a prosperous middle-class Victorian family. The case was a sensation at the time & influenced many novelists. The book was successful at drawing parallels with the media frenzy that follows any case of child abduction or murder in our own time. 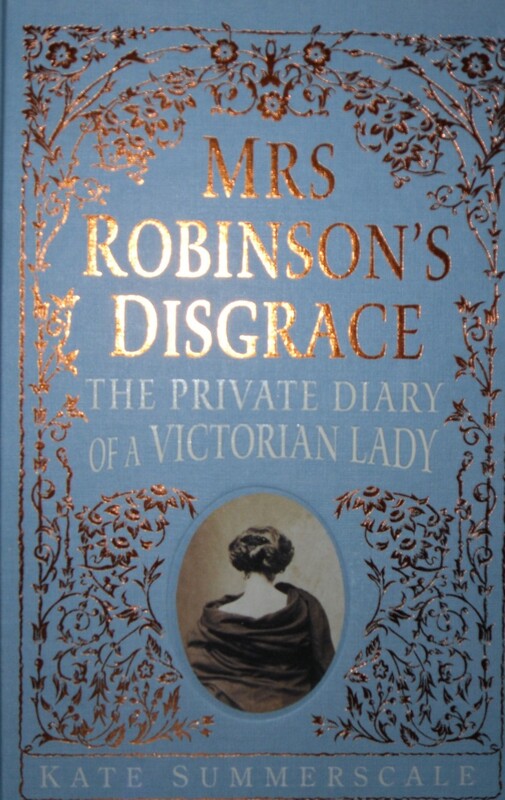 Kate Summerscale's new book, Mrs Robinson's Disgrace, is also set during the Victorian period & deals with the family, the law & scandal. Isabella Robinson becomes infatuated with Edward Lane, a doctor 10 years her junior. Isabella is married, she has three sons (including a child from an earlier marriage) but she is restless & dissatisfied. Her husband, Henry, is an unsympathetic man. Isabella is afraid that he married her for her money & they have no interests in common. While the Robinsons are living in Edinburgh, they become acquainted with Dr Lane, his wife, Mary, & her mother, Lady Drysdale. Isabella is smitten with Edward at first sight & confides her feelings to her diary. Isabella & the Lanes become friends, going on outings & holidays with their children. Dr Lane sets up a hydropathy clinic at Moor Park in Surrey, treating various physical & nervous disorders with water therapy. Charles Darwin was one of his patients. Isabella visits the clinic several times as a friend & a patient. Isabella writes in her diary of the increasing attraction she feels for Edward & then that her feelings are returned. She even hints that they are having an affair. When Isabella falls ill, her husband discovers her diary & what he reads there outrages him. He sues Isabella for divorce, using the recently introduced Matrimonial Causes Act of 1857. For the first time, divorce was a civil matter & affordable for the middle classes. Isabella's diary is the primary evidence to support Henry's accusations of adultery. Edward Lane denies any improper relationship & Isabella does not appear in the case. Her diary must speak for her. But is it fact or fiction? Henry's lawyers paint a picture of a woman so depraved that she thinks nothing of writing down the most intimate details of her passion for a married man. Isabella's counsel contended that the diary was a fantasy, written by a bored woman married to an unsympathetic man. They also tried to assert that she had a physical illness, uterine disease, that caused extravagant sexual delusions. The newspapers were avid for details & the public scandal was immense. Everyone's reputation is at stake as the judges deliberate on the veracity of Isabella's diary. Isabella seems to have had a habit of flirting with younger men, especially those in her employment such as her sons' tutors & she also described these relationships in her diary. Edward's denials of any improper relationship are very convincing but then, he had a lot to lose. A doctor accused of an affair with a patient, even if she was also a family friend, would not have much reputation left. It seemed to me that Isabella had kept boredom at bay by flirting with a handsome man & fantasising about him. Her mistake was to write down her fantasies & leave the diary lying around for her husband to find. I was looking forward to this book very much as I'd so enjoyed The Suspicions of Mr Whicher. I read it in a couple of days but I'm afraid I found it rather unsatisfactory & I find it difficult to explain why. I think the story is really rather slight & Summerscale spends quite a lot of time setting the scene. She describes everyone's family background, especially the story of Mary Lane's brother, George Drysdale, who fakes his own death on a walking tour & reappears some years later after suffering a breakdown. Maybe I'm being unfair & it's just that my expectations were fed by the hype & I felt unsatisfied. Isabella's plight as a woman trapped in an unsatisfactory marriage should have been interesting to someone like me who loves Victorian fiction. I'm also very interested in the constraints women suffered before laws on divorce & child custody were reformed. The court case is interesting & the course of the arguments is fascinating, especially as Isabella could not speak in her own defence. Her diary had to speak for her & we're never really sure how much of it is true. After reading Miss Mackenzie last week, I mentioned Catherine Pope's list of her Top Ten Trollopes on her blog, Victorian Geek. 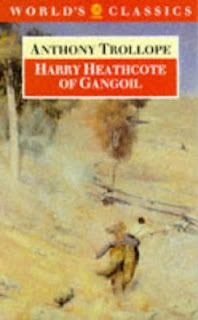 I decided to read Harry Heathcote (picture from here) because it's the only one of Trollope's novels set in Australia. Trollope's son, Fred, emigrated to Australia & so Trollope had some first hand knowledge of Queensland where the novel is set. He spent a year travelling around Australia & spent time with Fred on his sheep run. Harry Heathcote is a young Englishman who has come out to Australia to seek his fortune. He lives at Gangoil, his sheep run in Queensland where he runs 30,000 sheep on thousands of acres leased from the government. Harry is a squatter & he despises the free selectors who have come out & bought land adjoining his. Don't let anyone tell you that Australia is a classless society - at least, it certainly wasn't in the 19th century when convict transportation had not long ended & there was a very definite hierarchy based on your origins. Harry's neighbour, Giles Medlicot, is one of the free selectors. A new chum from England, Medlicot has bought land next to Gangoil & set up a sugar mill where he lives with his mother. Harry lives at Gangoil with his wife, Mary, her sister, Kate & his two young children. Harry is a proud young man who has made his own way in the world since he was orphaned young. His manner is rough & imperious, he doesn't suffer fools gladly. His obstinate manner has resulted in bad relations with many of his neighbours & employees. Harry dismisses two of his employees who then go to work for Medlicot. He suspected them of planning to light fires to destroy his land & is furious with Medlicot for employing them. He sees it as a betrayal. It's the middle of a hot summer & only those who live in the bush can really understand how terrifying bushfire can be. Harry fears that he won't be able to keep up his payments on Gangoil if his stock or feed are destroyed. Harry has let his fear of fire become an obsession as he patrols his boundaries every night, accompanied by the few men he trusts. As well as Harry's dislike of Giles Medlicot, he is contemptuous of his other neighbours, the shiftless Brownbies. A family of ex-convicts, the Brownbies are slovenly & sly, always on the lookout for trouble & usually finding it. Working all day & riding all night on the lookout for fire has left Harry paranoid & exhausted. When Harry discovers a deliberately-lit fire on the boundary of his property with the Brownbies' land, he trespasses on their land to fight the fire & is surprised to be helped by Medlicot. The Brownbies have been joined by Harry's disgruntles ex-employees & a fight breaks out as they discover Harry desperately fighting the fire. I enjoyed Harry Heathcote of Gangoil very much. The character of Harry was fascinating. I'm not sure that he will ever become more moderate in his judgments & harsh opinions but he did have to reassess his opinion of Medlicot - especially as he has had the temerity to fall in love with Kate. Trollope evoked the bush very well - the loneliness of life on remote stations, the reliance on neighbours, the egalitarian lack of deference of the servants towards their masters. Mary & Kate were important characters in bringing out these aspects of bush life. There's one very tense scene when Harry is out patrolling at night & the women are left alone at Gangoil. They sit out all night on the verandah, nervously watching & waiting. They are also determined to make friends of the Medlicots, not willing to let a personable young man & his mother be strangers when there is little company to be had. The only mistake I caught Trollope out in was that it wouldn't have been dark at 7pm at Christmas. December is the middle of summer here & it doesn't get dark until 9pm. I did enjoy the Heathcotes & Medlicots sitting down to a hot Christmas dinner, complete with plum pudding, though. Many Australians (including my family) still do that. It's ridiculous but it's a tradition that we just can't break. Harry Heathcote of Gangoil is much shorter than the average Trollope novel - only about 140pp. It's tightly-written, with one main plot & none of the subplots beloved of the Victorian novelist. In his Autobiography, Trollope says that he wrote the novel for the Graphic as a Christmas story in 1873 & was paid £450 for it. I can imagine that it would have been an exciting, almost exotic story to read by an English fireside in the winter of 1873. I found it very enjoyable & I'm looking forward to my next Trollope from Catherine's Top Ten. I'm a big fan of Linda Gillard's intelligent, involving novels. 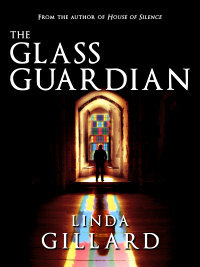 Linda's new book, The Glass Guardian, has just been released as a Kindle e-book. I downloaded The Glass Guardian yesterday morning, started reading in the afternoon & finished it late last night. I loved it & I'll be reviewing it properly at the weekend. The story involves love, loss, grief, music, WWI, Skye, family secrets, loneliness & a ghost who will break your heart. If, like me, you don't have a Kindle but do have an iPad or tablet, you can download a Kindle app & read it that way. You can download The Glass Guardian here or here. There are some tantalising extracts on Linda's website here. 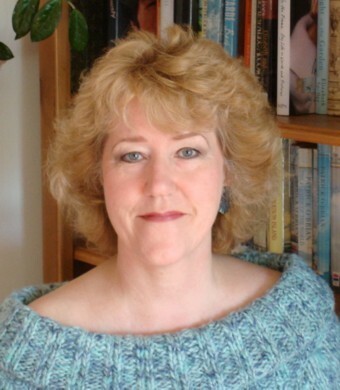 I've reviewed Linda's last two books, Untying the Knot & House of Silence & Linda wrote an insightful guest post about her decision to e-publish her most recent books. If you enjoy a well-written story about real people (well, except for the ghost, obviously, although he seemed pretty real to me) that's totally involving, unputdownable in fact if you'll excuse the cliché, I think you will love The Glass Guardian. 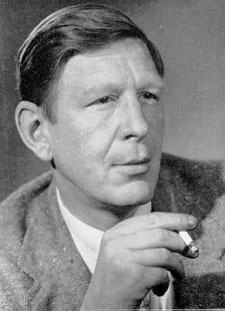 Auden (photo from here) is one of those poets I always feel I should read more of. I have a lovely Folio Society edition of the Shorter Poems which seems like a good place to start. This is a particularly lovely poem, the first verse is so beautifully calm & serene. Does anyone have any Auden favourites to recommend? I first heard of Kathleen Jamie's books through reading about the publication of her new book, Sightlines, at Dovegreyreader & at Desperate Reader here & here. I love reading about Scotland, especially the islands & this sounded perfect. Findings is a series of essays about journeys that the author takes around Scotland & the observations she makes. Jamie is a poet & this is obvious from the beautiful way she describes the places, animals & objects that she observes. There are essays about the skyline above Edinburgh, a visit to Playfair Hall which houses a collection of anatomical specimens & a boat trip out of Tobermory where she sees whales & dolphins playing. Bird watching is a constant theme as Jamie watches a pair of peregrines nesting or sighting a rare crane. My favourite essay is about a trip to the prehistoric monument of Maes Howe on Mainland Orkney. There are many prehistoric monuments on the Orkney islands. Maes Howe is a chambered cairn where the bones of the dead were placed. The cairn was constructed so that the light of the setting sun would enter the tomb for just a moment at the midwinter solstice. Jamie has been thinking about the metaphors of darkness & light & how they've been used over the years so decides to see if she can visit the cairn at the solstice & see the light filling the tomb. This happens for several days around the time of the solstice if the weather conditions are favourable. No one really knows what the purpose of the light was. Was it a religious symbol or a way of telling the time of year? Did it have some magical significance? Did Neolithic people enter the tomb at solstice or was the show just for the ancestors? You enter into the inner chamber of the tomb by a low passageway more than 25 feet long. It's more of a journey than a gateway. You don't have to crawl on hands and knees, but neither can you walk upright. The stone roof bears down on your spine; a single enormous slab of stone forms the wall you brush with your left shoulder. You must walk in that stooped position just a moment too long, so when you're admitted to the cairn two sensations come at once: you're glad to stand, and the other is a sudden appreciation of stone. You are admitted into a solemn place which is not a heart at all, or even a womb, but a cranium. The atmosphere was slightly marred by the presence of surveyors from Historic Scotland, taking measurements of the tomb to check whether there has been erosion to the fabric of the stone. Their bright lights & the presence of webcams detract from the atmosphere a little. The weather is cloudy & Jamie doesn't experience the moment of light entering the tomb but she isn't too disappointed. My ventures into light and dark had been ill-starred. I'd had no dramatic dark, neither at sea nor in the tomb, and no resurrecting beam of sunlight. But lasers are light, aren't they? Intensified, organised light. I'd crept into Maes Howe at solstice, hoping for Neolithic technology; what I'd found was the technology of the 21st century. Here were skilled people passing light over these same stones, still making measurements by light and time. That thought pleased me. 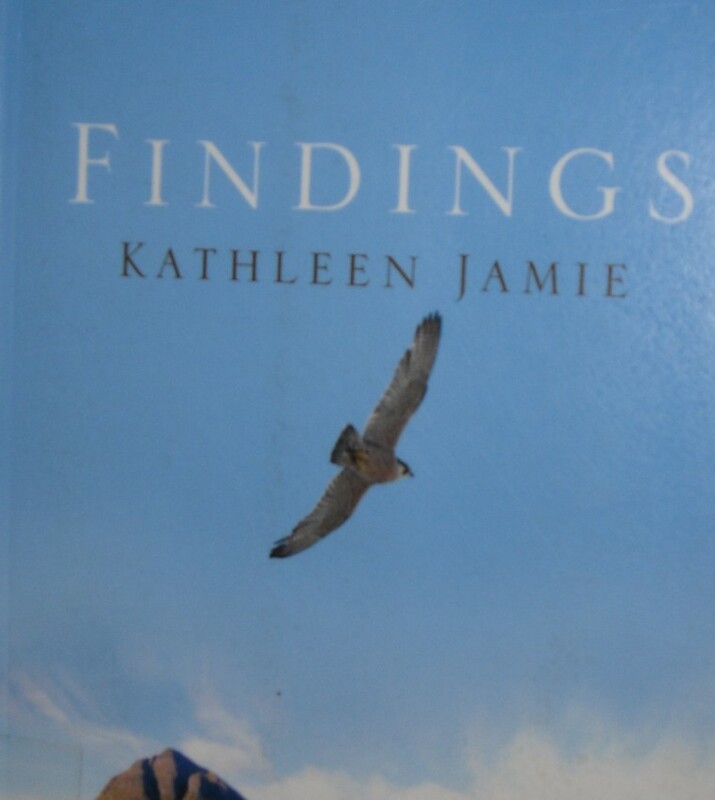 I enjoyed reading about Kathleen Jamie's journeys through time & around Scotland. In a busy world, she manages to stop & experience nature, watching birds & examining the corpse of a whale on the beach. I'm looking forward very much to reading Sightlines.